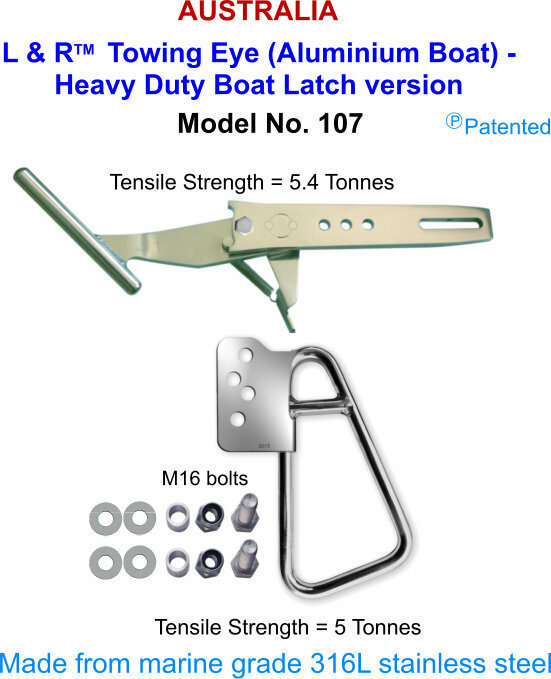 The Heavy Duty snare is for large towing eye (Aluminium) boats over 6.5 M (21ft). If you have a smaller boat that gets very heavy use and/or rough treatment, then this would be a good option. It is 33% bigger than the standard snare. Snare and Latch from marine grade stainless steel.